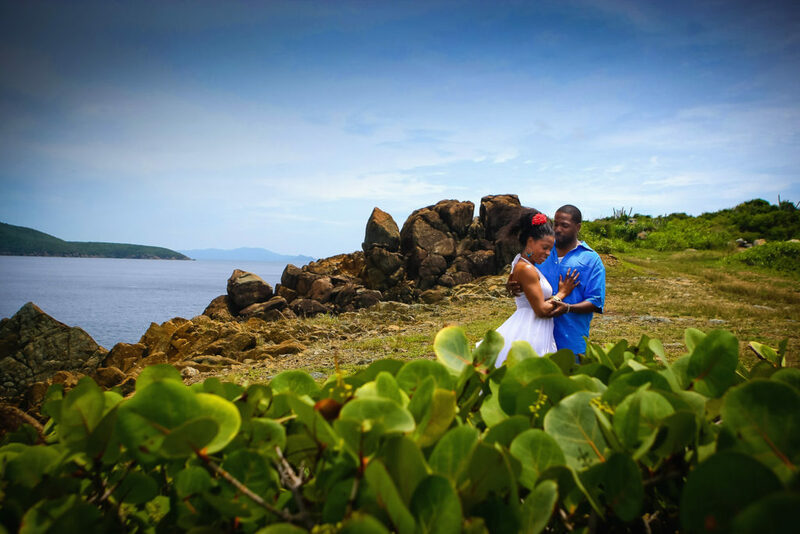 What a beautiful setting for Shermaine and Julius’s St.Thomas USVI Engagement photo session. I met Shermaine and Julius through a very close friend of mine many years ago and hit it off right from the start. What an honor it was for Shermaine and Julius to choose me to capture their beautiful moments. Shermaine was born and raised here in St.Thomas while Julius was born and raised here in the states. 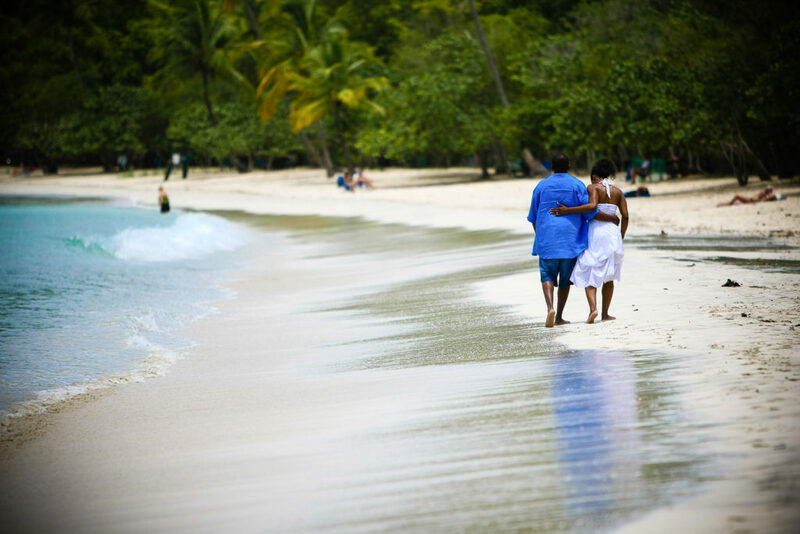 When they met, it was pure chemistry and knew they would choose St.Thomas USVI as their engagement location. 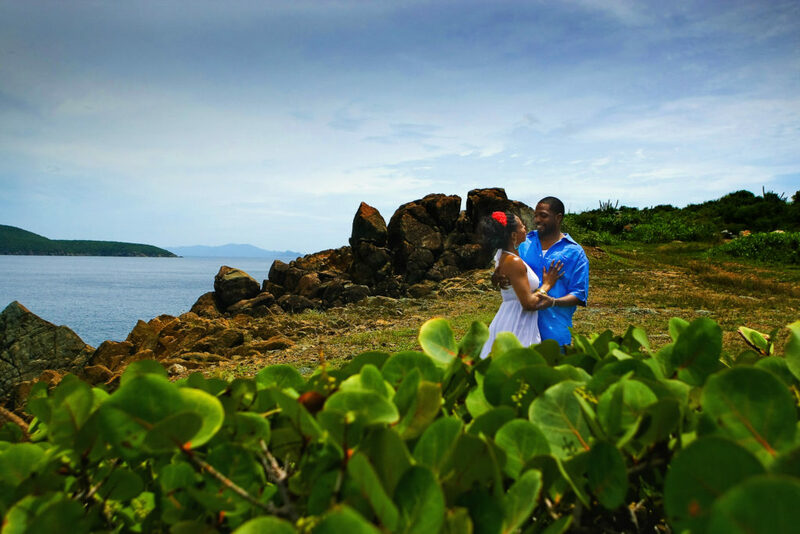 St.Thomas USVI Engagement portrait session. We started our photo session on the cliffs of Picara Point. With the road ended half way to the point, it was an adventure, but well worth the hike. There are so many amazing views here in St.Thomas USVI, it was hard to pick out locations. This one was clearly one of the best areas over looking St.John. 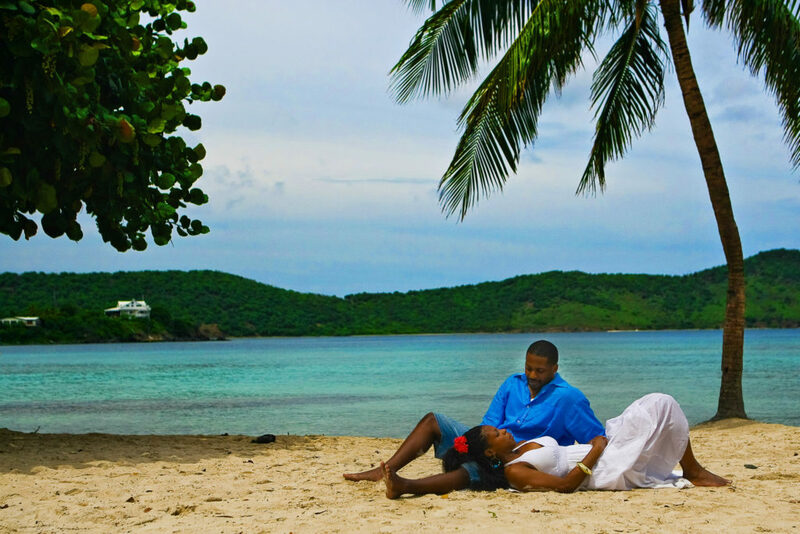 Shermaine and Julius spent time here on Hull Bay Beach when they met so in wanted to spend some time here capturing the gorgeous beach and the surroundings. The wonderful part about these locations is there were not many people around and really had the beach to ourselves. It was so peaceful and see why so many people from all over the world come here to settle down. 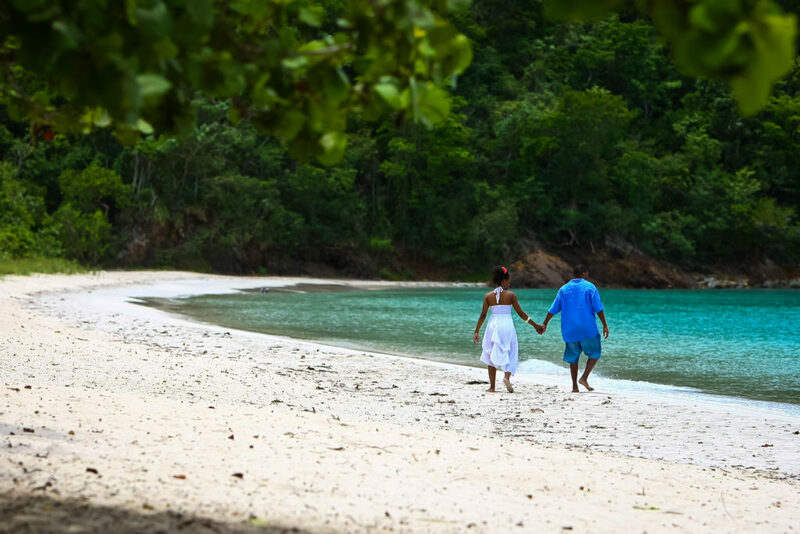 Megans Bay Beach was our final portrait location which was a perfect ending to our photo session. Magens Bay Beach is famous for the calm waters in the bay and many types of fish swimming so close. Such an amazing time we had here in St.Thomas USVI with Shermaine and Julius. St.Thomas is one of the most cosmopolitan islands, yet it still retains the distinctive atmosphere of a secluded Caribbean paradise.